Remodeled Kitchen, Separate Laundry Room, Covered Patio And A Family Room Big Enough For A Pool Table. The Extra Large Living Room Has High Ceilings And The Master Bedroom Has Been Extended To Almost Double In Length. The Retaining Wall Makes The Entire Lot Usable And The Back Yard Is Very Large. 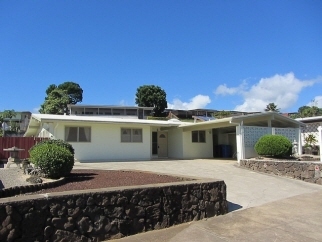 This Home Is Very Well Maintained And The Location Is One Of The Best In Aiea. Private Showings Only.